Things to Know Before arriving in Gran Canaria: What to do when you land at the airport LPA, bus, car, taxi, Free maps to download, video, The Canary climate. Accommodation. Today I want to share with you the travel guide that I provide to my guests who stay in my apartment in Gran Canaria. Instead of spending the whole afternoon looking for information here and there on the web, I did it for you hoping to make your life easier. With the time saved you can calmly prepare the suitcase. Se preferisci: Leggi la guida di Gran Canaria in Italiano. Main Street markets and Places to visit in Gran Canaria. The bus stop is located in the departure terminal (salidas comunitarias). As soon as you leave the baggage claim you have to go up one floor (with the escalator or elevator) and follow the signs “Buses” or, as they are called in the Canary Islands: Guaguas. You can buy the ticket directly on the bus, or if you have time, at the ticket machine that is in front of the bus stop. To get to the tourist areas, in the south of the island, you have to take the bus 66 or 91 or 90. To get to my apartment in Puerto Rico you have to take the bus 91. The bus line 91, leaves from the capital of the island (Las Palmas), makes a stop at the airport and up to Playa del Cura, stopping also in the tourist centers of Puerto Rico and Amadores. The agency's Global bus Gran Canaria provides a regular service throughout the day from 6:15 am to 20:15 pm. Click here to view and download all the lines and the buses schedules updated. For those who prefer to download the app on their tablet or smartphone, the company GuaguaBus offers free APP with bus timetables for Android and iPhone / iPad. NOTE: Consult timetables, taking into consideration that the bus goes to the Airport about 15 minutes after departure from Las Palmas de Gran Canaria. If you prefer organizing everything from home before leaving, you can lean to a company where you can hire "car and driver". Upon your arrival the driver will be waiting in front of the arrivals door. You will recognize him because he will hold up a sign with your surname on it. 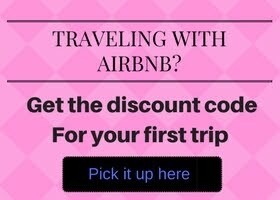 I used this service during my first trip to Gran Canaria to reach the airport. Unfortunately, I left early, at 5 am, and the bus wasn't still active so I booked a private transfer with driver. When I left the resort where I was staying, the driver was there waiting for me. The advantage of this option is that you already know how much you spend and there are no unpleasant surprises or price increases on the agreed price. If you arrive in a time not covered by guaguas lines (buses), you have the option of taking a taxi or rent a car. The taxi ranks are located in all the arrivals terminal (EU and others). Out of the exit door, you will see a row of taxis. Head to the first in line, show the address or tell to the taxi driver the name of the resort where you will stay and... enjoy the landscape while the driver takes you to your destination. 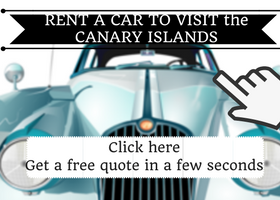 How much does a taxi ride cost in Gran Canaria? If you want to do a rough calculation of transport costs, click here and you'll get an idea using the online calculator. Rental cars companies are located in the halls of Community arrivals and to reach them, once you get your luggage, follow the path to the exit, then go to the right (next to the elevators) and you will see them. How much does renting a car cost per day or per week? In case you want to take a trip to Las Palmas (the capital), but you do not trust to drive in the busy city, you can opt for a tour of the famous city sightseeing bus, hop on-hop off. The alternative is to use the Municipal Buses and buy travel tickets prepaid. Gran Canaria has a bus service "Global" all around the resorts, from the resorts to the major towns, around and between the towns. You can rely on the public bus system to get you around most of the island. The service that goes into the center of the island and the smaller villages however is very infrequent and I wouldn't recommend relying on a service that isn't from one town or resort to another. Global also have a website in Spanish, English and German which shows you which service to catch for which resort, the bus timetable, the fare and more. If you are at the beach or around the island, it is useful to know that in almost every restaurant / bar, after taking a drink, you can ask for the code to access internet wi-fi. In the Las Palmas area, the capital, on the beach you can connect for free using the local hotspot. It has 1300 hotspots scattered throughout the south of the island. Buying the internet subscription online, it works around the resort, my apartment and in many other southern cities. The service can be purchased online by credit card (7 days wi fi service costs 20 euro, 28€ 2 weeks, or 40€ a month). Related: Free and paid Wifi in Gran Canaria. Supermarkets in Gran Canaria: Which one is the best and cheaper ? Mercadona: Av. de Galdar 35290 San Bartolomé de Tirajana. Free Parking in all stores. You may not know that the climate of the Canary Islands is considered one of the best in the world according to studies carried out by universities and climate experts. The air is clear and dry for the duration of the year, the little pollution, the absence of changes in temperature has a positive effect on health, especially on joint pain and respiratory disorders. If you want to live in the perfect climate and try on your skin what it means to be always in spring, see the benefits it can give you, the easiest solution is to go to Mogan area (Puerto Rico, Amadores...) and discover the beauty of the island climate. I strongly recommend the south-west area of Gran Canaria, at least in winter, which remains the most warm and protected from the wind. Related article: Canary islands Latitude: sun benefits vitamin d.
The temperature of the seawater is also agreeably warm, this together with the 2,700 hours of sunshine means that you can truly get the most out of your days down on the beach. The magnificent weather of Gran Canaria makes it into the ideal place for all kinds of open-air sports. When is the best time to visit the canary islands? Is the weather good in January/February, what about the summer months, is it too hot then? People often make the mistake of thinking that if the winter weather is so mild that the summers must be suffocating hot. This is not correct, thanks to the Trade Winds, the summer in the Canary Islands is mild thanks to the sea breezes and not at all stuffy or intolerable with temperatures around 26-29 degrees just perfect for endless days down on the beach. Every month of the year is perfect for the holidays to the Canary Island. the beach protected from the wind ideal for swimming and sunbathing. The best known is the beach with the famous dunes of Maspalomas. This beach is great for walking because it is wide and long (from Playa del Inglés to the Maspalomas lighthouse) but it isn’t protected from the wind. It is good to know that a few times a month, especially during the winter, the wind can be annoying. In the south of the island, there are many other beaches. Most suitable for families are located in the south-west of the island: playa de San Agustín, Anfi del Mar the beautiful Amadores beach, the small beach of Puerto de Mogan and playa de Puerto Rico. Puerto Rico is a very popular destination in winter, it attracts many visitors who enjoy the sun and water sports in fact is one of the sunniest places of the island, there is a slight breeze that makes it pleasant to be lying in the sun without sweating because of the heat. The sea is calm. 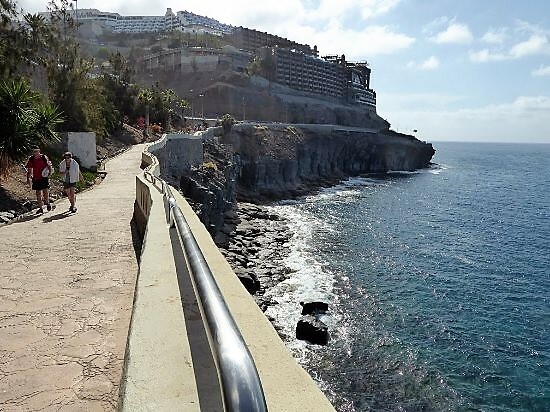 For walkers there is a path built between the rock and the waterfront of about 1 km that connecting Puerto Rico to Amadores beach . Both are the best places to swim even and especially in the winter. It is for these reasons that in the winter, in the south-west of the island, it is difficult to find an accommodation if you do not book in advance. The Playa de las Canteras is the beach of the capital. When you take a trip to the capital of the island you can not miss the opportunity to see the long beach of Las Palmas, and if the weather permits, you can also swim. In Gran Canaria there are many street markets where you can find souvenirs and local crafts: accessories wicker, leather, ceramic, or typical gastronomy. In the south and on the coast there are more items for tourists, while in the hinterland villages you sell food and local fruit. If you want to visit the city, you can do it during the day of the street market, however you note that usually in those days the city are literally assaulted by tourists. My advice is go early in the morning to avoid the crowds. Located in Calle Capitán Quesada, 29. The market specializes in food products. Mercadillo de Vegueta. Every Sunday (except during July, August and September). This market in the Plaza del Pilar Nuevo, in the town of Vegueta, offers visitors the most varied local crafts. In addition you will have the opportunity to visit the old neighborhood of Las Palmas. It is interesting to see the house where Cristoforo Colombo stayed before leaving for the Americas (or rather before leaving for the Indies ^^). It is one of the busiest markets in the south of Gran Canaria. In this case, go up early in the morning is necessary because then it will be difficult to walk in the narrow passages of the stalls. The market is located near the port of Mogan. It is also accessible by sea. The village is a little gem with some restaurants and small shops. Will be pleasant to take a walk. If you are interested in taking a trip by sea and enjoy the scenery, instead of the usual bus, you can take the ferry from the various ports in the south of the island. This street market is located near the Basilica of Nuestra Señora del Pino and is among the largest on the island. Mercadillo San Mateo (Vega de San Mateo) Saturday and Sunday 8h-20h 14h-8h. Located in downtown San Mateo. Mercadillo Municipal de Arguineguín. Tuesday 8h-14h. Calle Paco González in the Ancora Centre. Main places to see in Gran Canaria. Watch the video below. Roque Nublo, Tejeda, in the mountainous area of Gran Canaria. In the north of Gran Canaria is a Painted Cave at the time of the aborigines. 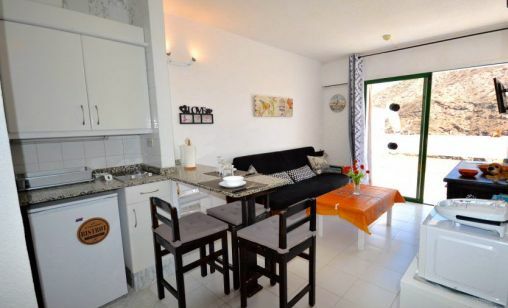 A stone's throw from the beaches of southern Gran Canaria. Under the palm trees of the canyon you can see the estate left by the ancient inhabitants of the Canary Islands. For lovers of mountain and trekking. It is a volcanic caldera near the vineyards of Tafira. For those who love hiking. To avoid running out of money, I give you some advice on where to go to save money, so that your soul mate will be satisfied and you'll still have some "survivors" euros in your bank account. If you plan to stay in Puerto Rico, here you will find various shops in the town center full of restaurants, shops, pharmacies and many supermarkets where you can do shopping (usually close at 22 h). See the video. This is the largest shopping centre of the Canary Islands. Located between Telde and Las Palmas. Here you will find several shops and Primark, a store of clothing, bedding and home accessories low cost. An air outlet of 20 thousand square meters located near the sea. Here you will also find shops of big brands with discounts up to 70% and, while you wait for your sweetheart, you can visit electronics stores and have a "cerveza-beer" in one of the various bars and restaurants on site. It is the commercial area most frequented by the inhabitants of the island. I know it well, since I have made ​​numerous trips between Alcampo, Ikea and Leroy Merlin, to buy everything I needed to make my apartment nice and comfortable. This commercial area is located in Telde, halfway between the airport and the capital. A little inconvenient for those coming from the south, about 60 km away. Across the highway there is the Decathlon store, which is the largest provider of sports equipment on the island. I strongly advise: NOT to go on the weekends because the place is stormed by local people. I happened to be over there in a day of promotion. After driving for 60 km and an hour of traffic to get off the highway, I did not have the heart to go back but, I assure you, it was an experience not to be repeated. The first one is located in Playa del Ingles, the second most recent, is near Playa del Inglés-Maspalomas. I recommend them because, coming from the airport, they are the firsts shopping centers that you meet. If you want, being easy to reach them (near the motorway exit), you can stop directly and go shopping to fill the fridge and the pantry of your holiday apartment. In the Atlantic there is a Carrefour, in the Tablero a big Hyperdino. The parking is free in both shopping centers. Playa del Ingles is one of the most touristic places of the island. There are many shops and shopping centers, the best known are Yumbo and Kasbah and the largest Cita. NOTE: If you are a smoker, in the Canary Islands you can buy quality cigarettes from 10 € the carton, and Marlboro just over € 2 the pack. In order to avoid problems at the airport, carrying too much alcohol, tobacco or cash, click on the page of the European Union to know the limits established for certain items. Before heading for the Canary Islands, and the whole Spain in general, you should bring the latest version of your medical card. Who is affected by particular diseases, don’t miss to carry with himself the medicines, and a copy of the documentation relating to the last check on the state of health. Hospitales San Roque / Maspalomas /Hospital with an efficient emergency services. The phone numbers of the Emergency Services: Police, Fire and Ambulance, 112. No problem! The service is available 24 hours, in 5 languages: Castilian, English, German, French and Italian. In Gran Canaria you can also find the consulate of your country. If you need to make a bureaucratic practice, redo a document urgently, click the link above. Here you will find various maps of the major tourist towns on the island: Maspalomas, Puerto Rico, Puerto de Mogan, Las Palmas de Gran Canaria. If you are "more technology", in this page you can download the Free APP for your tablet or smartphone. Well, now you're informed and ready to go... I just have to wish you a good vacation and if you're going to come here, before looking elsewhere, peeks into my apartment if there is still availability for the dates you want. GIFT: Download a copy in pdf (this article), print it and bring it with you if you need. Find out which island of the Canaries is "THE BEST" for you. 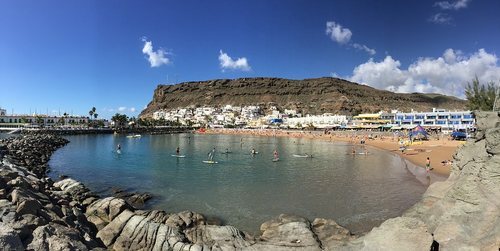 How to plan a cheap holiday in Gran Canaria. If you think that the guide will be useful to you or to your friends, share it using the buttons below (G +, Facebook, etc.). Thanks.